A stunning video of ski BASE jumpers in Norway. An extended version of this earlier published video. he he he!! Cool beans but no freaking way in hell would I do that!! Kudos to those that have the kajones to do it though!! "but then it got boring so we started mucking around"
at 100 miles an hour. 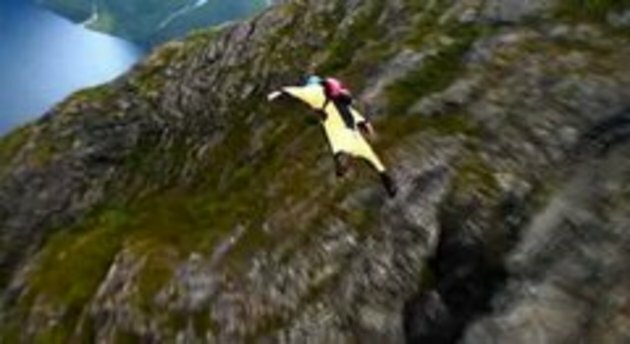 every time i see a base jumping movie on snotr i think, oh look another one, but ... its always impressive. Does anybody know the name of the 1st song by any chance? 3:40 I am impressed with how fast they stop. I love love love love love love love it! its shane mcconkey from matchstick productions "ski movie: Claimed"
#3....You and me both !....the only thing is I don't think I'd actually have the sheer brass balls to Do it! Serious adrenaline rush !